ConceptDraw DIAGRAM diagramming and vector drawing software extended with Marketing Diagrams Solution from the Marketing Area of ConceptDraw Solution Park is the best software for quick and easy creating Marketing Flow Chart of any complexity and design. Marketing Diagrams Solution provides the extensive drawing tools and Marketing Diagrams library with set of predesigned vector objects. These objects and also objects from other libraries of ConceptDraw Solution Park, including the Flowchart and Flowcharts Rapid Draw libraries from the Flowcharts solution of "Diagrams" Area, will be useful for easy drawing a Marketing Flow Chart. 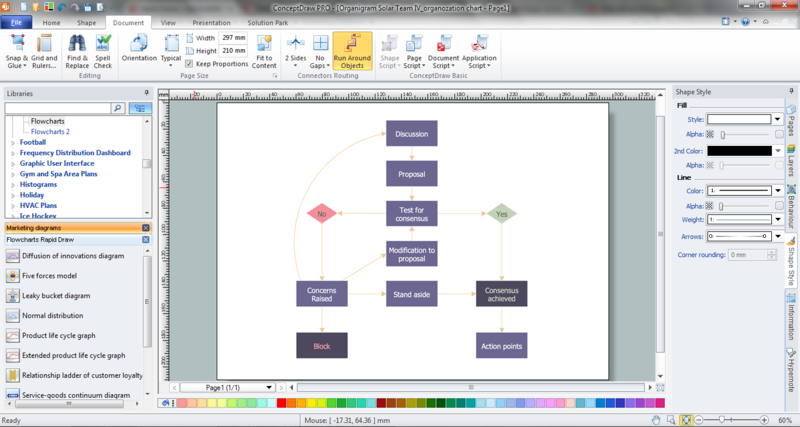 Another way of drawing a Marketing Flow Chart in ConceptDraw DIAGRAM software is to use as the base the predesigned template or sample. The whole collection of them is available from ConceptDraw STORE. 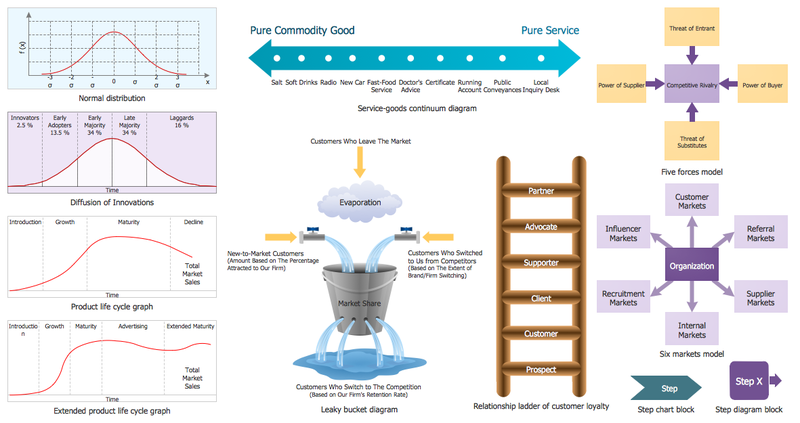 The Marketing Flow Chart sample you see on this page was created in ConceptDraw DIAGRAM software with help of Marketing Diagrams Solution for ConceptDraw DIAGRAM Solution Park. 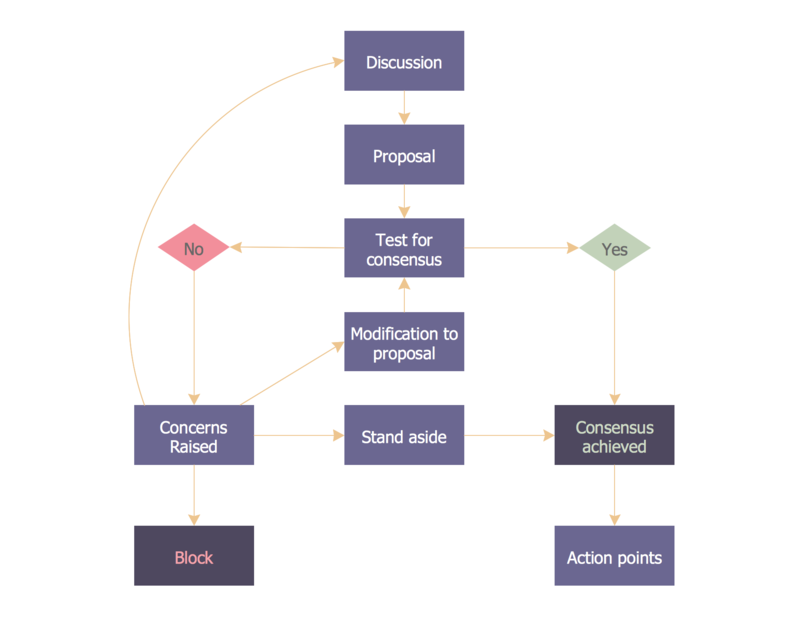 It effectively illustrates the consensus decision making process. An experienced user spent 5 minutes creating this sample. Use the Marketing Diagrams Solution to create your own successful Marketing Flow Chart fast and easy. Sports Selection Flow Chart - This sample was created in ConceptDraw DIAGRAM v12 using the Flowcharts Solution from the Marketing Area and shows the Flow Chart of sport selection. An experienced user spent 10 minutes creating this sample. A triangular graphic representing Graham's "hierarchy of disagreement", based on Paul Graham's March 2008 essay "How to Disagree".